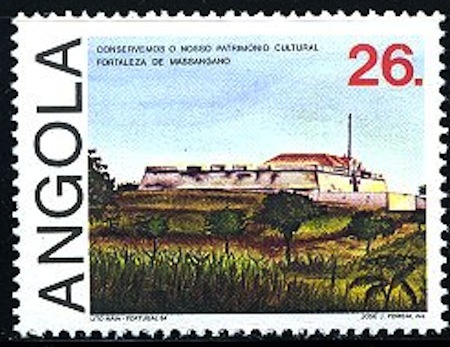 Massangano Fort included the Church of Nossa Senhora da Victoria, pictured on a UNESCO Historical Sites Issue of stamps, released February 21, 1985. Friday November 02 (holiday), the Field Group will visit Massangano, the site of one of Angola’s oldest forts, built in 1582 to use as a way station for slaves being traded from Kwanza Norte. 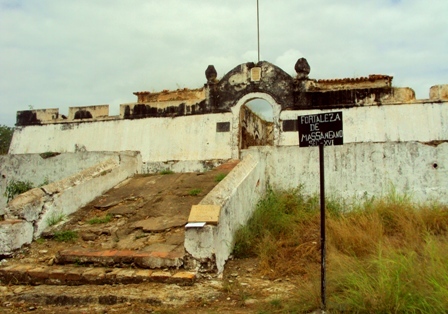 During Holland’s brief occupation of the seat of government of Angola, from 1641 to 1648, the Portuguese took refuge in the fort here. The Massangano fort is located on the banks of the Kwanza River 20 km east of Dondo. A stone’s throw from the fort is the restored Church of Nossa Senhora da Victoria. 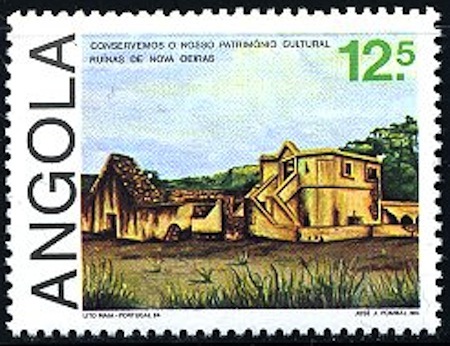 Novo Oeiras, the iron foundry was featured on the same issue of stamps. On our return home we will visit the remains of Novo Oeiras, the iron foundry on the Lucala River which was erected in 1768 by the Marquis of Lombal, the progressive and controversial Prime Minister of Portugal. Almost 100 years later, David Livingston visited the foundry while on his travels through Angola, and wrote, “The efforts of the Marquis to improve the mode of manufacturing iron was rendered abortive by the death of the European labourers whom he introduced in order to instruct the natives. At the present time, a certain quantity of malleable iron (about 500 bars a month) is produced by native workmen in the employ of Government. The pay of these men consists of a certain number of a fish called ‘cacusu’ which is much esteemed in this country: what they do not want to consume they can readily sell.” Today the foundry is an Angolan heritage site. We will leave the city at 6:00 AM and plan to be back in the city limits between 5pm and 6pm. 4 wheel drive recommended, full tank of gas, no fuel stops will be made. Take food and liquids for the whole day. No food stops. Meeting point and further details will be provided once you have signed up and are confirmed for the trip. We accept a limited number of participants. Field trips are open to Angola Field Group members. There is no fee. Sign up by emailing: angolafieldgroup@gmail.com and state: 1)your cell phone number 2)names of all participants 3)whether you require transport or not 4)whether you have room for passenger/s and if so how many extras can you take? 5)whether you are travelling from Luanda Sul or downtown Luanda. Two meeting points will be arranged. All Angola Field Group trips are at your own risk. There is a provincial border crossing so you must carry valid, original up-to-date documents with you.